Who is Metin Hara and why Adriana Lima is with him? | Do You Know Turkey | Turkish Tv Series & Drama, Turkish celebrities, travel information about Turkey and Turkish cusine. Home Celebrities Who is Metin Hara and why Adriana Lima is with him? Metin Hara, who has become the most widely spoken name of Turkey when she kissed the world-famous Victoria’s Secret model Adriana Lima. Metin Hara is a writer probably you didn’t know before until you see his photos with the Brazilian supermodel Adriana Lima. When people see Adriana Lima holding Metin Hara’s book, they thought that this is a viral advertising campaign, however, the case was not just that. When the couple was seen kissing on the way to Bodrum there is the question “Adriana Lima and Metin Hara! What’s the deal now?” It’s easy, we’re talking about the most famous model in the world! Until today, Lima has a list of lovers dating from famous singers like Lenny Kravitz to celebrity athletes. Even one of them, Liechtenstein’s prince Wenzeslaus, whose name is said to be very difficult. Yes, a prince we know! When we interviewed him in 2010 and asked, “Who are you, what is it?” He gave the following response: “Some say ‘personal growth’, some are ‘physiotherapists’. But I’m not both. I think I’m a normal, ordinary man who loves a lot, tries to raise awareness around. Then he starts individual treatment with a cancer patient living in Turkey and he is getting better. This process that spreads from ear to ear brought him to today’s point. Cancer patients, those who are caught in depression, those who want to quit smoking, who want to lose weight, want to get rid of crisis panic attacks go to him. While some consider his techniques as nonsense, some see him as a healer, an energy specialist who combines mysticism with Western medicine. The one that brought it forward; Infinite trust in the human body. He writes books and gives seminars to tell people about it and transforms them into changing them. 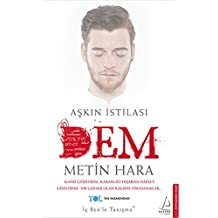 In his second book, Metin Hara, ‘Dem’ says: “Not our words, but our feelings shape our future. What we want is not what we want, but what will happen to us! “Obviously Adriana Lima’s feelings will shape her future. This relationship is not known where it goes, but it is clear that; It will not be the same for Metin Hara after that. According to Forbes, Metin Hara, who is one of the most winning Turkish writers, printed 90 thousand books and 2.460.000 TL. ■ Metin Hara was born in 1982. He studied at Üsküdar American College and Çapa Physical Therapy and Rehabilitation Department. He acted to make money at college. ■ In 2008, he began to hold individual and collective seminars under the brand ‘Insan Güven’. He aimed to change people’s lives. ■ In 2008, the Turkish-French co-production ‘Dinle Neyden’ in a film named, won the award. ■ In 2014 he wrote ‘The Path’, the first book of the ‘Invasion of Love’ trilogy.The book sold over 100 thousand in the first three months; 8 months on the ‘best sellers’ list. Then the second book, ‘Dem’ was out. 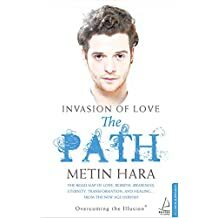 Lima was seen at the exit of Los Angles Airport a week ago in the hands of Metin Hara’s book, The Path: Invasion of Love – Overcoming The Illusion. ■ Adriana Lima 1981 born in Brazil, height 1.78. ■ At the age of 13, he was discovered while shopping at a local store; In 1998, when he wore angel wings and walked in Victoria’s Secret, he made his reputation ceiling. ■ He was engaged to famous artist Lenny Krawitz for a while but the relationship did not work. ■ On February 14, 2009, the NBA star married Serbian basketball player Marko Jaric. The 5-year marriage is over. Lima has two daughters from this marriage. During this year, the New York Mets player left baseball player Matt Harvey. ■ His close friends call him ‘Leah’ and his nickname is ‘LimaBean’. I love reading books, and my favorite author is Gabriel Garcia Marquez. The world-famous Brazilian top model Adriana Lima came to Bodrum in the tourism paradise town of Muğla with writer Metin Hara. The couple went hand in hand from Milas-Bodrum Airport. Metin Hara, who was in the press statement about Adriana Lima’s relationship, said, “We realized that we felt something against each other.” Who is Metin Hara, one of the most winning Turkish writers? The world-famous Brazilian top model Adriana Lima came to Bodrum , the tourist paradise town of Muğla with writer Metin Hara who is known for his personal development books. The couple went hand in hand from Milas-Bodrum Airport. Famous model of the world of fashion Adriana Lima Milas-Bodrum Airport with passengers to go out with the VIP department noticed the preference. Without seeing the journalists themselves, the famous model, who walked hand in hand with writer Metin Hara, who posed with his book last month at Los Angeles Airport, went to the hotel to stay in the car waiting for them. Lima, seen wearing a long-sleeved black sweatshirt, black jeans and boots, learned to take a holiday in Bodrum with her friend Metin Hara. It was learned that Lima, who came to Istanbul from a festival abroad and met with Hara, planned to go out to the blue tour of Gökova Gulf and Greek islands after staying in Bodrum for two days. “I met Adriana in Istanbul in June and I gave her my book in a pleasant conversation and during this period we were always in communication and we were aware that we felt something against each other. We desire to see our journey mutually also in this beginning process. Adriana Lima and his beloved Metin Hara, who came to the Bodrum district of Muğla for vacation, had a nightmare in Bodrum traffic. Lima, 1 hour and 45 minutes in the streets of Bodrum and the peninsula followed the members of the press, two cars intervened in the press cars hit the automobiles. Tonight, along with his beloved Metin Hara for the holiday, he got angry that members of the press did not follow him after arriving from Milas-Bodrum Airport and then entering a Bodrum city center after Adriana Lima, who moved to Bodrum in a special automobile ride. Lima’s instructions given to the driver Göltürkbükü, Gündoğan and Yalikavak five rounds were taken in the neighborhood. Afterwards, it was seen that the chauffeur, who tried to get away from the members of the press by entering Ortakent -Yahşi neighborhood, Yalikavak road, did not obey the red lights. Approximately 160 kilometers of roads lasted an hour and 45 minutes. During the chase, two vehicles entered the press to endanger journalists. Lima and her lover Metin Hara, who came out of Milas Bodrum Airport at 18.00 hours, entered the villages of the tourists named Şeyda Karakaya, who operated a hotel in Dereköy Mahallesi at 20:00 hours. It was seen that Lima and his lover prevented the members of the villa employees from getting the images of the villagers during the entrance to the private villa, which is a historic mill and frequently held weddings and engagements. Adriana Lima’s arrival was not reported. It was learned that Lima would ride tomorrow with Metin Hara and go on a blue voyage involving Gokova and Greek islands. It was learned that Lima would ride tomorrow with Metin Hara and go on a blue voyage involving Gokova and Greek Islands. Dervis.. but always in the front of cameras? A bit absurd but to me it’s perfectly fine.